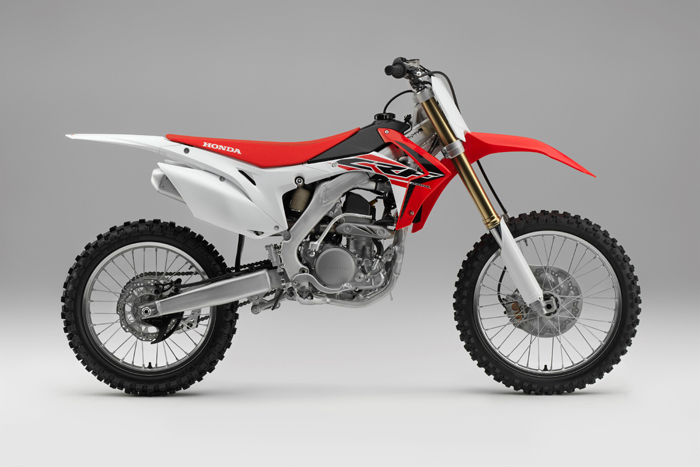 Honda has updated its CRF250R just a week after Yamaha did the same. The new CRF250R has received a new cylinder head that has been developed by Honda Racing Corporation (HRC). According to the manufacturer, the new cylinder head, along with a new piston and con-rod, will give the CRF250R more low-end torque. In reality, power and torque have been boosted by 1.4kW and 1.6Nm respectively. Showa forks have also been included to reduce friction and improve response at the front end, while Showa rear shocks have also been added. Honda’s announcement comes just seven days after Yamaha updated its YZ motocross range, with the 450F and 250F both receiving updates to improve acceleration and responsiveness. Traditionally, enduro and off-road bikes are the first to be updated and revealed by manufacturers in a calendar year.